This is our second year hosting this party and I have to say this year I had a beast of a time picking out features because there were so many great ideas to choose from. I had such a tough time I enlisted my daughter's help in choosing some of the features. So it is with a heavy heart that I chose all of these because I really, really wanted to pick a lot more. But I am also very happy for the ladies that were featured. Congratulations to everyone! Amber of Follow the Yellow Brick Home has decorated her music room for the holidays. And what a stunner it is, all full of music sheets, paper garlands and lots of musical instruments. And let's not forget about that gorgeous tree. Why it is enough to make Beethoven gain his hearing all over again! This next one was chosen by my helper my daughter, who loves all things dessert and pastry. The bold colors in this Festive Sparkly Glitter Oreo Cookies immediately caught her eye! Thank you Erlene of My Pinterventures for the recipe. These lovely DIY ticking stripe stockings would look great on anyone's mantel. Vicky and Kristen of Timeless Creations have even given us a tutorial so we can make our own. Anna of Strawberry Butterscotch made her own Elf on the Shelf so she can display it in her home. She also has a tutorial on her blog so we can have one to keep us company. I am just loving this original tree made with ribbons. Suzanne of Pearl Street Designs shows us how to make this lovely centerpiece. You all know how much I love the earth so my upcycle loving heart was immediately attracted to this project on how to make gift tags from old cards. Lisa of Cucicucicoo also shows us how to take care of that gift wrapping. Mindie of MisAdventures of a Homesteadin Mama made these adorable ornaments using scrap wood. I have to do this for next years tree, and if you have little ones they will love this craft idea. This has to be the cutest wreath I have ever seen. T'onna of Sew Crafty Crocket says it is an ugly sweater wreath, but I think there is nothing ugly about it. Don't these beverages look fabulous. Now you too can make hot beverages like a barista with Erlene's Christmas stencils for hot cocoa. Go over to My Pinterventures to see the tutorial! I expect these in my mug very soon! What a lovely way to add a bit of atmosphere, with these wintery mason jar luminaries that Our Unschooling Journey has made with the help of her children. Anabelia Handmade has crocheted the prettiest snowflakes I have ever seen. It's times like these I wish I knew how to crochet. When you visit the New York Botanical Gardens at this time of the year, you also get to see a Train Show. I had the honor of seeing this many years ago and cannot wait to get back. But for now I will enjoy it through Chaos with Coffee's lovely photos. Gee, Mary! These projects that are high-lighted are absolutely wonderful! And what a neat idea to feature twelve favorites! You go! I really liked so so many it was hard to decide! I love that you went with a 12 Days of Christmas idea for your features! Fun! Thanks for co-hosting the party, Mary! Wow, so many lovely features! I bet you all had a hard time choosing! Hi Mary, Merry Christmas to you and your family! Wanted to stop in and see the awesome features! Thanks so much Laurie, and the best to you and your family. I actually had a family member help me with choosing the features it was so hard. Happy Holidays to you too Lisa. You know I cannot resist a good upcycle. 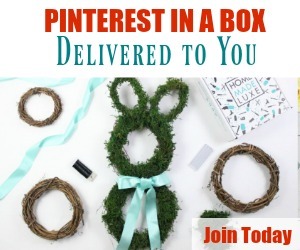 Thanks so much for hosting this fun holiday link party and the features. Hope you have a wonderful Christmas! Erlene we wanted to feature all of your posts but we had to limit ourselves. Merry Christmas! Thank you so much Mary! What a fun and inspiring party! I hope you have a Merry Christmas! Amber it was an honor to be able to feature your amazing music room. Mary, your features are all wonderful and well deserved. I hope you have a very Merry Christmas dear friend!!!! Thanks Keri, I really had a hard time picking them this year. Good Evening Mary, I just wanted to pop by on this Christmas Eve to wish you a wonderful Christmas in your new home in New York. May you have joy and happiness for 2018. Thank you so much for your sweet wishes Daphne. I hope you also had a wonderful holiday. Thank you so very much for featuring my little tree!! These are wonderful choices and I love that you used the 12 days of Christmas theme :) Merry Christmas!!! Susanne I am so glad you linked up with us. I hope you had a wonderful holiday! Just stopped by to see your Holiday Link Party features. I liked the snowflake garland, too. The oreo's look dreamy. Merry Christmas. Merry Christmas and a happy new year Sherry!! Hi Mary. There are some adorable features, I bet they were hard to choose. I pinned a couple for next year. Thanks so much Leanna. Hope the new year is treating you well.